Have you ever wondered why God commands us to become perfect when it seems so impossible? In English, the word means to lack nothing essential, to be without defect, and “completely suited for a particular purpose” (The American Heritage Desk Dictionary). We know this is only possible with God’s help, but it is still discouraging to look at ourselves and realize how far we are from perfection. The task of becoming perfect seems even more daunting when we read, “you shall be perfect, just as your Father in heaven is perfect” (Matt .5:48). How could we ever become as perfect as God is? If we don’t give up altogether, it’s easy to get caught in a cycle of trying to be perfect, failing, and then falling into depression. What’s the solution? First, let’s remember that Jesus told us things which are impossible for men are possible for God (Matt. 19:26). He can save and work with even the people who seem most hopeless. Second, let’s look at what the Bible actually means by “perfect.” It’s not quite what it seems in English. In the Old Testament, God described Job as “a perfect and an upright man” twice at the beginning of Job’s story (Job 1:8; 2:3, KJV). We know that Job learned and grew as a result of the trials he went through, and yet God could describe him as “perfect” with complete honesty before this growth happened. The word in Hebrew is tam (H8535), which refers to completeness and entirety. It doesn’t necessarily mean finished, though — rather someone moving “naturally toward that which is ethically sound” (Theological Wordbook of the Old Testament). 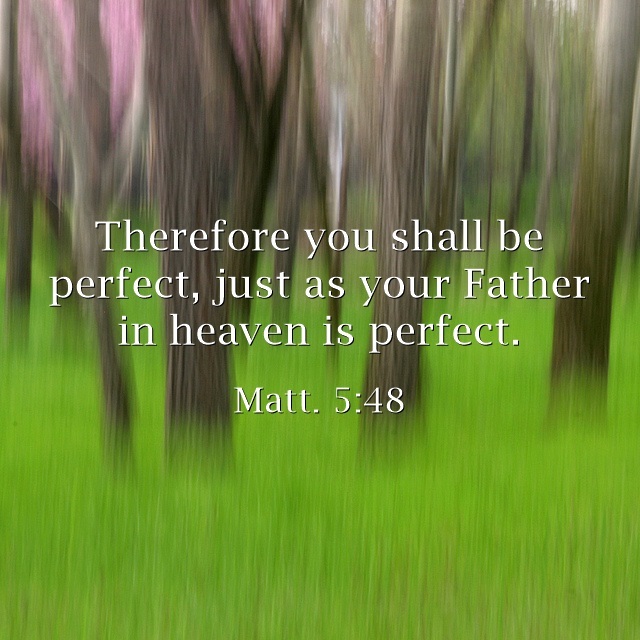 Thus in the Bible, we can be described as “perfect” while being on the path toward perfection. God is perfect in an absolute sense, and He takes on Himself the task of moving us toward that perfection. As long as we are growing toward being like Him, He can describe us as “perfect.” This idea of growth fits in perfectly with the way perfection is spoken of in the New Testament. There are two main words translated “perfect” from the Greek, and one is teleios (G5046). It means something that is finished or complete, as in completely blameless, or a person who is full-grown in mind and understanding (Zodhiates). It is what Jesus Christ prayed His followers would experience. Perfection as a Christian has everything to do with growth. If we think we’re already perfect, then we’re not. But if we’re pursuing perfection by trying to be like God and deepening our relationship with Him, then He calls us perfect. We’re not left in the dark about how we can pursue perfection The key is not so much trying to be perfect versions of ourselves, but rather trying to be like our Father and Jesus Christ. Here, we have the other Greek word frequently translated “perfect.” Katartizo (G2675) means “to put a thing in its appropriate condition.” It can mean repairing something that was broken, setting a person right with God, and preparing or equipping someone for a purpose (Zodhiates). 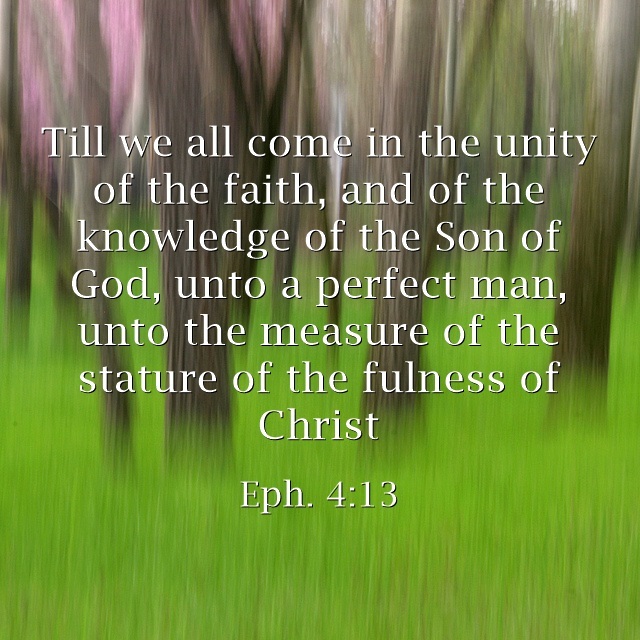 Here in Luke, Jesus is telling us that in order to become whole, complete and right with God, we have to become like Him (Eph. 4:10-14). The closer we get to being like Christ, the more mature we become as Christians. If we stagnate instead of growing, then we’re in trouble. “Why aren’t you growing?” Paul asks. “You know what the elementary principles are, so build on them.” We have a foundation — Jesus Christ whose sacrifice perfects us (1 Cor. 3:11; Heb. 10:14) — and now is the time to start building on that foundation. Even though God refers to us as perfect before we actually reach that goal, we can’t become complacent. Even the Apostle Paul didn’t think he was doing well enough as a Christian to stop pursuing perfection, and he wrote over 30% of the New Testament text! But he didn’t let the fact that he wasn’t perfect yet discourage him, and he made sure he was encouraging his fellow Christians toward maturity in Christ. Like Paul, I hope we can accept the fact that we’re not yet perfect while continuing to move towards being like Christ. We don’t have to beat ourselves up over not being “good enough,” but we do have to keep moving forward.